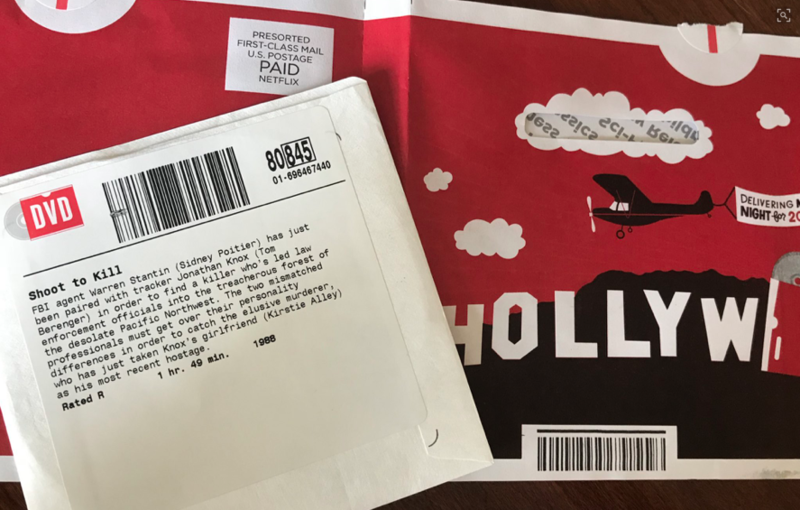 As I aim to fill in some of the fleeting gaps in my 80’s moviewatching resume, I’ll report on my progress in this general space. 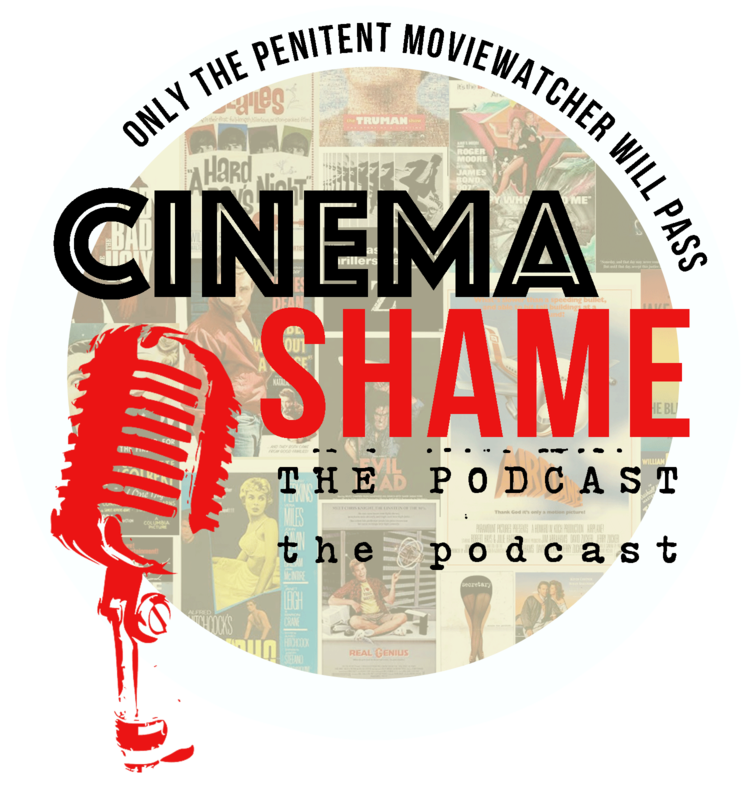 I believe I owe this viewing to a recommendation from Brian Saur of Rupert Pupkin Speaks and the Pure Cinema Podcast. His thoughts on Shoot to Kill prompted me to adjust my Netflix queue accordingly. A black FBI agent teams up with a grizzled white woodsman/tracker to hunt down a murderer who’s assumed the identity of a hiker and joined a group of weekend hikers in the Pacific Northwest and taken Kirstie Alley (she’s on a break from Cheers) hostage. It’s the bizarro 48 Hrs.! But this 1988 thriller has another claim to fame. 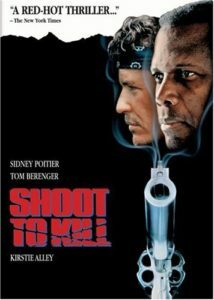 Shoot to Kill boasts Sidney Poitier’s first big screen appearance in 11 years. 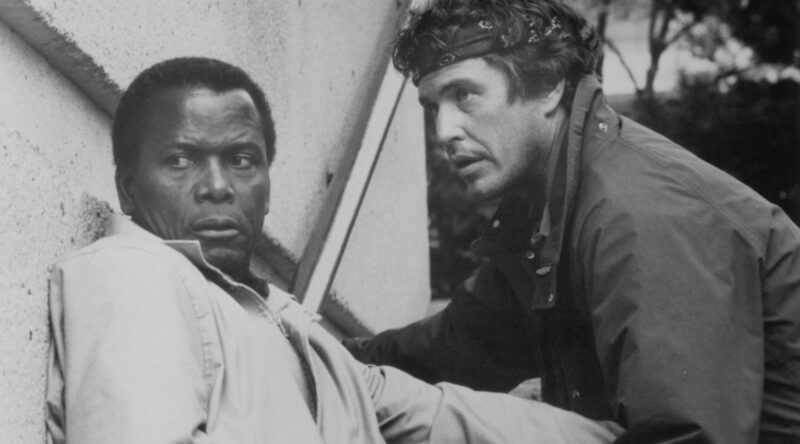 After 1977’s A Piece of the Action (which he also directed), Poitier went behind the camera for his next three movies. During this time period Poitier directed Stir Crazy (1980), Hanky Panky (1982) and the dance battle flick Fast Forward (1985). 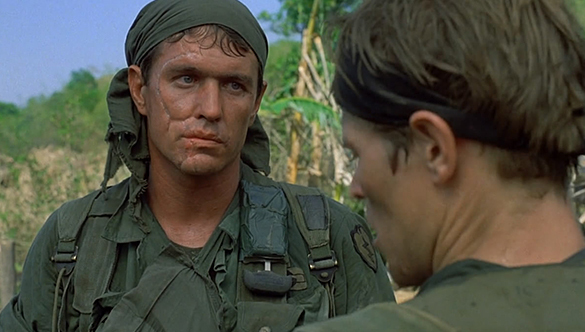 Meanwhile Berenger’s star had reached it’s zenith at the tail end of the decade after starring in Oliver Stone’s Platoon (1985) and Ridley Scott’s underrated (and steamy) thriller Someone to Watch Over Me (1987). Who couldn’t love a face like that? The buddy cop premise, a reliable holdover from 1970’s cinema, held strong throughout the 80’s. Tossing two mismatched characters together on a quest to achieve a common goal often creates instant tension and comedy. The concept done well results in entertainers like the aforementioned 48 Hrs. (1982), Lethal Weapon (1987) and Midnight Run (1989). Also, I’d like to throw out a special mention for the The Nice Guys (2016) just because it’s always worth the keystrokes. 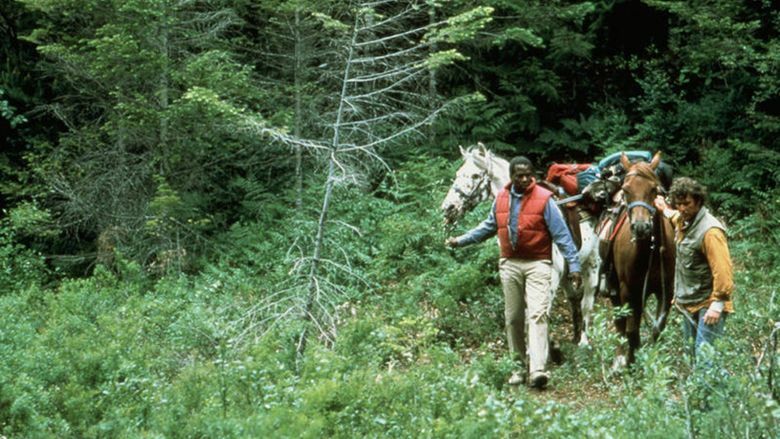 Racial tension regularly figures into these scenarios, and Roger Spottiswoode’s Shoot to Kill offers its share of quips about a black man lost in the woods. Spottiswoode’s film never turns Poitier into a racial caricature because it already established Poitier’s FBI agent as hardboiled and utterly capable of navigating urbanity. He’s just city folk, and Knox (Tom Berenger) is a reclusive woodsman whose irascible personality has earned him few friends where there were already few friends to earn. Though I do take a small issue with the film’s comical insistence on making FBI agent Warren Stantin an action hero. Poitier, who was in his 60’s by this point, hurdles over police cars (when running around them would have clearly been faster) and spends large portions of the film sliding and leaping and running. Even though I know the legendary actor’s still with us, I legitimately felt concern for his retrospective health. It’s not that Poitier’s giving a bad performance here — it’s just that he seems constantly uncomfortable handling the required and sometimes unnecessary physicality. Humor comes easy between the actors. I’ve always felt that Berenger had a natural gift for understated drollness. 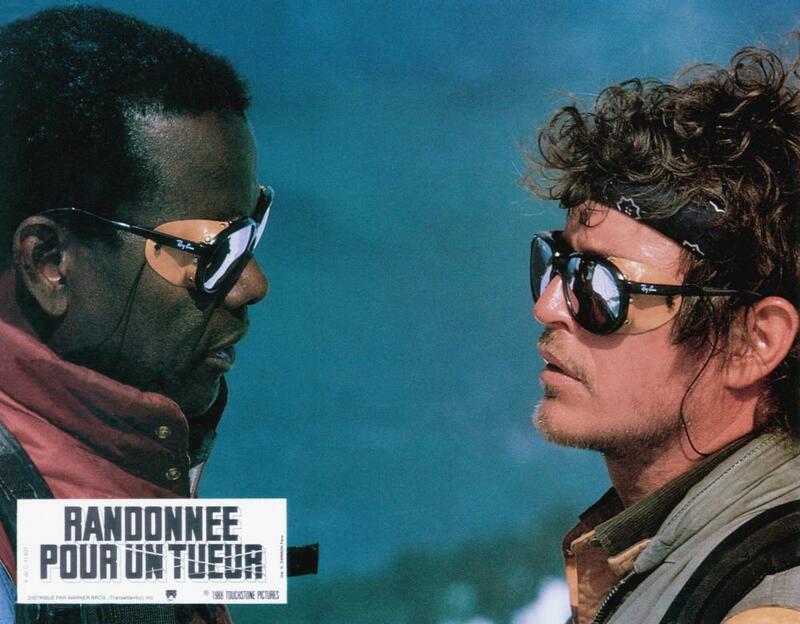 As the two are forced to pursue the murderer (the always terrific Clancy Brown) and his hostage through remote wilderness, the isolation brings out the dramatic and comedic best in both. Rides like Spottiswoode’s Shoot to Kill don’t need airtight logic; they just require charismatic leads navigating escalating tension with a few laughs about their incompatibility. 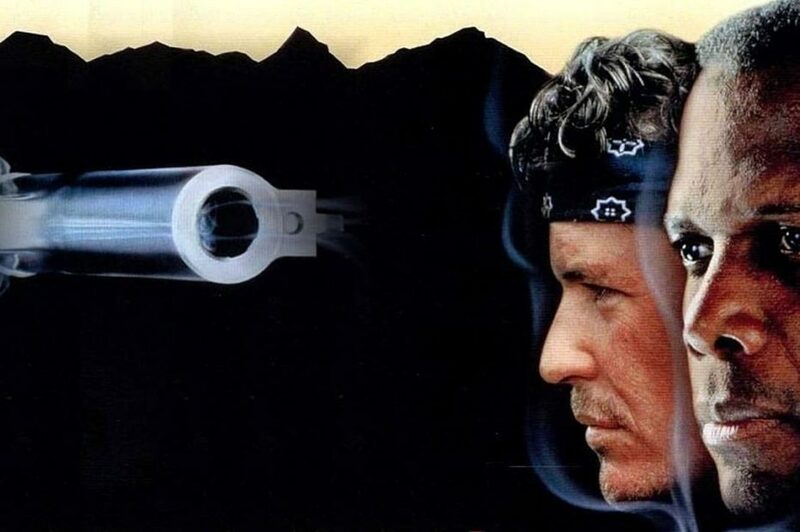 In that respect, anyone looking back to 1988 with any eye on “a bandanna-clad Tom Berenger hauling 61-year-old Sir Sidney through the woods” thriller won’t be disappointed. Fine genre entertainment, even beyond those of us who wax nostalgic for the days when Tom Berenger headlined action thrillers. Shoot to Kill (1988) is available on a ragged 2003 DVD from Amazon. It is at the very least anamorphic, but the print could use significant cleanup. Considering it was released by Touchstone Pictures (Disney), I don’t have much hope that this will reach Blu-ray anytime soon. James David Patrick is a writer. He’s written just about everything at some point or another. Lately it’s been movies. Follow his blog at www.thirtyhertzrumble.com and find him on Twitter, Instagram, and Facebook.